Read and comment on this Press Release from the Peace Corps Fund announcing the formation of a non-profit, tax exempt organization, that will support community service work throughout the United States by former Peace Corps Volunteers. Co-founders John Coyne and Barbara Ferris are known for their long involvement with the Returned Volunteer community and were leaders of the Committee for the Future of the Peace Corps. 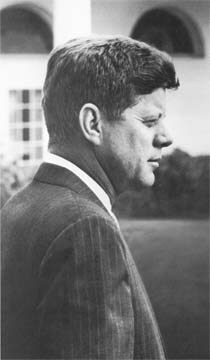 Washington, D.C.--Honoring President John F. Kennedy's birthday today, Returned Peace Corps Volunteers (RPCVs) announced the establishment of The Peace Corps Fund. The Fund was created in response to President Bush's State of the Union Address in which he called to expand the Peace Corps and energize community service efforts In America. Volunteers who serve overseas in the Peace Corps, a federal agency established in 1961, make a commitment to fulfill three goals: 1) to help improve conditions under which people live; 2) enhance understanding of Americans by people In other countries; and 3) improve Americans' understanding and appreciation of other people and cultures. RPCVs have long viewed the Third Goal as a call for community service across the United States. With the creation of the Peace Corps Fund, RPCVs will now have the opportunity to secure grants to support a variety of community service programs, projects and activates that give them the opportunity to share what they have learned from having lived in developing countries and emerging democracies. Programs and projects might include: cross-cultural folktales, textbooks, and essays written by RPCVs for students K-12; creation of Peace Corps Clubs for after school programs that would provide students a global view about peoples and cultures of the world; civic and language classes for new immigrants; curriculum based courses in high schools and colleges that contribute directly to a better understanding of our role as global citizens working for peace, as well as, books, films, and lecture series available for communities across the United States. "September 11 reminded all RPCVs of their commitment to fulfill the Third Goal, "said John Coyne, a co-founder of the Fund and an RPCV who served in Ethiopia in the early 1960s. "With the help of the Fund, Returned Volunteers will now be able to use their training and experience abroad to provide a domestic dividend to the United States at a time of crisis." The Peace Corps Fund will support former Peace Corps Volunteers and former Staff as they develop local projects and programs to educate Americans--from school students to senior citizens--about the common bonds that they believe Americans share with people around the world. According to Barbara Ferris, a co-founder of the Fund and an RPCV who served in the 1980s in Morocco, "the Fund has the support of members of the U.S. Senate Foreign Relations Committee, the Peace Corps community, and numerous Members of Congress. More importantly, we also have the enthusiastic encouragement of several former Peace Corps Directors, as well as early architects of the Peace Corps, and many professionals in the international development community." Congressional hearings are planned to create legislation to support Returned Peace Corps Volunteers and Staff as they develop projects, programs and activities to fulfill the Third Goal of the Peace Corps. The Peace Corps Fund, a non-profit, tax exempt organization, is seeking support from corporations, foundations and individuals. The Fund will publish guidelines for grant requests this summer. In his article Hunt talks about the McCain-Bayh bill on the Hill as well as the companion bill sponsored by Ford of Tennessee and Osborne of Nebraska. He also mentions the 1,500 students who turned out at the University of Michigan (birthplace of the Peace Corps) to hear McCain and Bayh talk about community and public service. Hunt ends by writing, "Since Sept 11 there has been much focus on what the country can do for us: tax cuts for the rich, farm subsidies, a blank check for the energy companies. It's time for the President to start asking instead what everyone, especially young Americans, can do for their communities and their country." The Peace Corps Fund is ready. RPCVs have been involved in communities across the country and around the world for years and we want to do more. A few resources would help RPCVs have an enormous impact as we continue to share the world. Provide grants RPCVs to do Third Goal activities within their communities. The Fund will support individual RPCVs, RPCV groups, and former Peace Corps Staff who seek funding to make a difference through a grant application process. Great projects created by a diverse group of people working to strengthen cross-cultural understanding will come--from all of you. Of that we are very confident. It will be your creative ideas that will drive the Peace Corps Fund. The Fund will support your ideas with grants. The Peace Corps Fund is not a membership organization. It does not plan to collect membership dues or publish magazines or newsletters or be involved with the Peace Corps agency. We already have an organization engaged in this work in Washington in the NPCA. The Peace Corps Fund is a non-profit organization incorporated in the District of Columbia. At the NPCA Conference, more information will be available on how the Peace Corps Fund will actually work. We are looking forward to having you join us in this challenge. We seek your ideas and suggestions. Meanwhile, spread the word, and using the form below, please send a donation today to build the Peace Corps Fund. What a terrific idea! I am in my 3mos+ Third Goal Bike Ride, where i have put the Third Goal to the pedal. I have organized and participated in a cross country bike ride to promote the Third Goal of Peace Corps experience, talking to groups, live TV coverage, small town newspaper, visiting regional offices, campus representatives, RPCVs, and thousands of folks enroute about the Peace Corps and my experiences. I have exahusted all my resettling in funds (no regrets whatsoever) and realize the potential if funding were available. I began the ride on National Peace Corps Day, March 1st and will end on June 22nd during the 40th Anniversary conference in DC with a welcoming ceremony. I am nearing the end of my ride, with only three weeks to go until my destination point. I clearly would be interested in meeting with you both and discussing the possibility of assisting you with this GREAT IDEA. I look forward to learning more about this. This is a top-down approach which I did not like as a Volunteer except as something to tap into. With the people "at home" who support this type of activity, it's like preaching the already converted. Little kids get more attention with their help-the-world a little bit projects without leaving home. With the rest of the people in our communities, we have about twenty seconds before their eyes start glazing over. My hopes are that this fund will get beyond these conditions and Mickey Mouse projects that are not worthy of our experiences. If this is going to become something, it should start out with some kind of widespread brainstorming. A lot of people barely know anything about the peace corps, and promoting events and projects here in the US will inspire people to support and join it in the future. The quality of the projects that get produced is dependent on our imaginations as RPCVs. Hopefully those in charge of the fund will be wise enough to recorgnize and nurture good ideas.